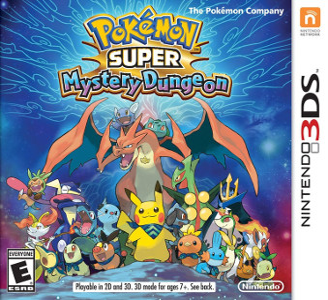 Pokémon Super Mystery Dungeon is a roguelike video game in the Pokémon Mystery Dungeon series developed by Spike Chunsoft and published by The Pokémon Company for the Nintendo 3DS handheld game console. Like its predecessors, players control a human who has awoken as a Pokémon in a world filled entirely by the series' eponymous creatures, and must travel through random-generated dungeons completing missions and battling enemies to unravel the story. Pokémon Super Mystery Dungeon is playable in Citra, albeit with a few problems. Music need to be played/loaded once in order to sound perfect, pausing or alt tabing will unload music sometime. You can expect to run into minor graphical glitches and slowdowns in dungeons that make use of animated tilesets and/or particle effects or complicated backgrounds (e.g. Sheer Mountain Range). Dungeons can however be expected to run at full speed on powerful hardware.